A group of 15 to 20 undergraduates produces Humans of Cal Lutheran without guidance from a university course or a faculty member, developing its own ethics of storytelling along the way. “We want people who may not have their voices heard be heard through our interviews and through the quotes and pictures,” said Allyssa Moscotte, a junior majoring in multimedia and the project’s founder. Modeled on Humans of New York, an interview-based blog by photographer Brandon Stanton with millions of followers on Facebook alone, the Cal Lutheran project was launched in February. Moscotte recruited students in unrelated majors and different social circles to work on it. After consulting with peers who run Humans projects at UCLA, Boston University and Villanova University, she established a system for filing posts and divided her staff into teams for interviews, post-editing, social media and marketing. The Campus Diversity Initiative supported Humans with a $500 mini-grant, which has been used to buy memory cards for photos, and the Multimedia Department loaned out two digital cameras. The students have tried to learn from the flaws of similar projects. “I definitely did not want to talk about the sad stories and the sufferings of people’s lives all the time. I feel like there are happy moments in our lives and there are sad moments and there are funny moments,” said Moscotte. Humans of Cal Lutheran has some special quirks, such as running two or three posts a day on the same person. The first photo often leaves the identity of the interview subject a mystery by focusing on a bracelet or shoes or the person’s back. Fans are used to this, said Ricky Mendoza, a junior exercise science major and the head of transcription for Humans. “They’re waiting for the first picture of the day to figure out who it is,” he said. Photographer-interviewers like junior physics major Dominic Lunde seek out diverse students, neighborhood residents and others to include in the project. He works up the courage to stop people and ask them personal questions for five or 15 minutes. Humans staffers give interviewees the right not to share their thoughts on sensitive topics, even waiting for approval before publishing. 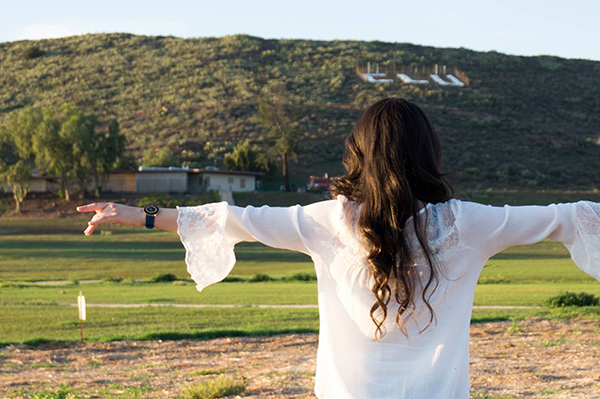 For the stories, follow Humans of Cal Lutheran on Facebook or Instagram.